When choosing a plant from among the many pots of flowers available in grocery stores, florist's shops or nurseries, you usually want to know whether each one will last for years or simply be beautiful for a single season. 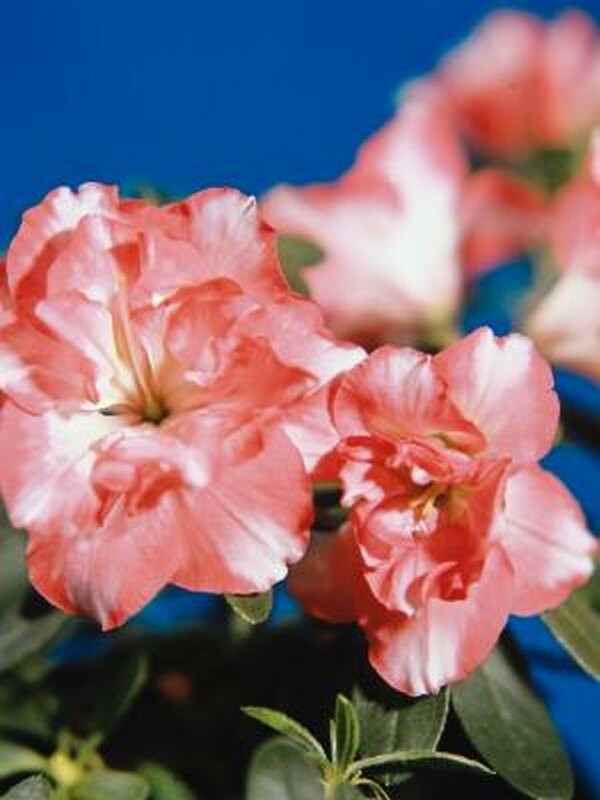 Some azaleas have been bred for especially large flowers and tolerance of indoor conditions but won't necessarily adapt to a cold winter outside. Others can be planted in the garden for lasting beauty. Azaleas are available in a wide variety of colors. Azaleas are neither perennials or annuals. They are shrubs with woody branches that last from year to year. Some azaleas, however, are not cold-hardy and will freeze below 25 degrees F and are treated as single-season plants like annuals. Annuals are plants that sprout, flower, set seed and die within a year. Examples are marigolds, zinnias and cosmos. Perennials have root systems that last from year to year though the leaves often die back in the fall. 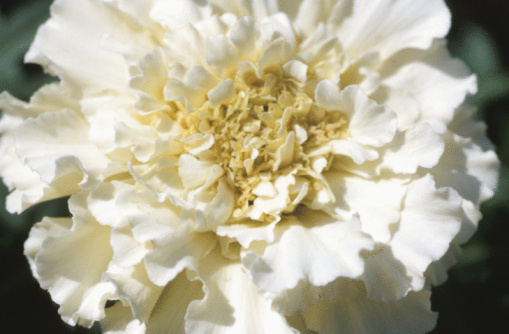 Peonies, Shasta daisies and daylilies are all perennials. Some plants, such as flowering tobacco, are perennial in frost-free climates but are grown as annuals where winters are more severe. Shrubs have a woody above-ground framework of branches that persists from year to year, and azaleas are among these plants. Some tender shrubs such as lantana are also grown as annuals in the north but are not true annuals because they do not complete an entire life span within a year. Azaleas are native to Asia, North America and Europe, and many species have been crossed to produce the wide variety of colors and forms available now. Deciduous azaleas often have fine red or orange fall color and come in warm yellows, golds, oranges and reds as well as pink and white. Evergreen azaleas tend more toward the cooler pinks, purples and reds, though orange and warm red are available. Named varieties are usually grouped under a name given to crosses from a single hybridizer, such as Glendale, Satsuki or Kaempferi. First, look for groups of azaleas that are hardy in your climate. Northern Lights, for instance, is one of the most cold-tolerant, hardy to minus 40 degrees. For most azaleas, choose a spot in your garden that is in part sun and make sure the soil is well-drained. One of the quickest ways to kill an azalea is to give it waterlogged soil. Spread several inches of organic matter such as well-rotted manure, compost or peat moss and dig it into the soil before you plant. Azaleas like an acid soil, so if yours is neutral or slightly alkaline, add peat moss. In general, azaleas look best with other woodland plants that like part shade. Small trees such as Japanese maples and dogwoods make good companions, and perennials such as hostas, ferns, lilies and astilbe are also good choices. Azaleas look especially appropriate in naturalistic, informal settings and in groups. Does Dianthus Come Every Year?